For a long multi-day backpacking trip, you need a highly portable sleeping mat, like the new ultra-lightweight Klymit Inertia X-Frame. When a guest sleeps at your home, a full inflatable mattress works well. But what if you are looking for a middle ground sleeping mattress? Pakmat beckons as your answer. The Aerobed Pakmat weighs in at a little under 5 pounds (2.2kg) and when packed up is about the size of a rolled up yoga mat. 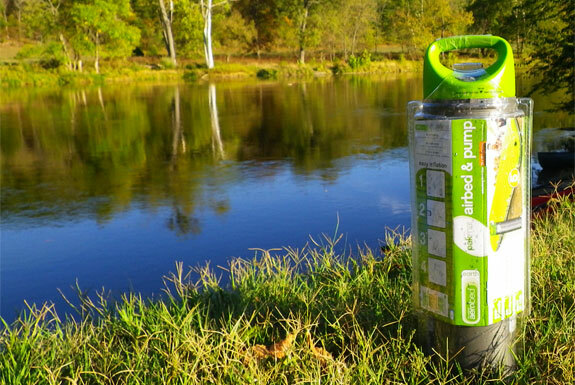 It’s compact enough to take car camping, to keep on a boat or RV, or even to take on short overnight hiking trips. 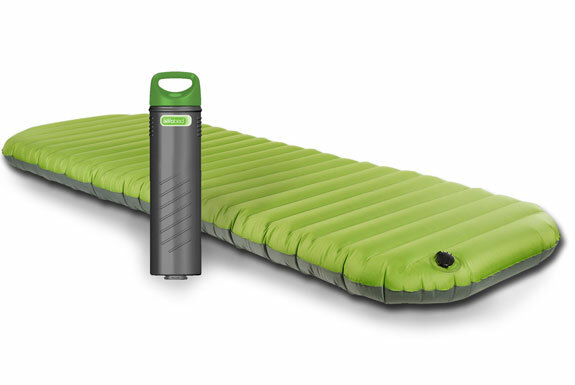 When inflated, the Pakmat provides a mattress that’s about 5 inches (13cm) thick. 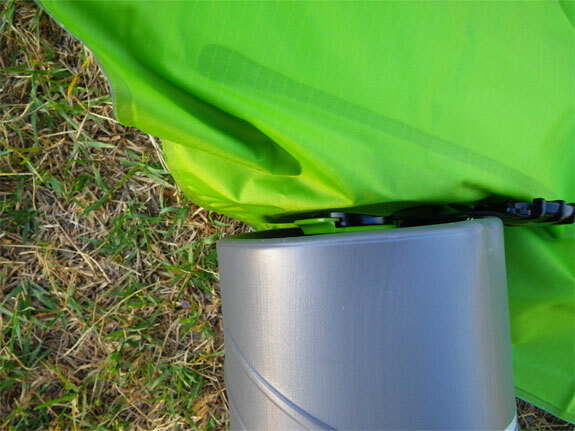 And unlike some other leaky inflatable mattresses, the Pakmat is as thick immediately after being inflated as it is after being slept on for the night. 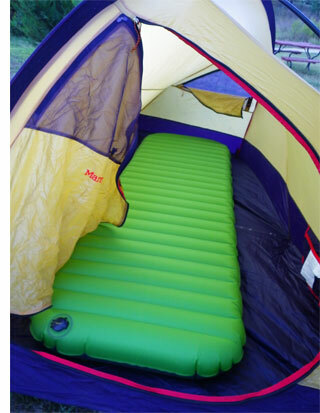 Inch for inch, the Pakmat is also as comfortable, or nearly so, as your typical keep-at-home inflatable mattress. The catch—and isn’t there usually a catch?—is that the Pakmat is 26 inches (64cm) wide. By comparison, a standard twin mattress is 39 inches wide. Key to the Aerobed Pakmat’s mix of comfort and portability is its ingenious double-layered carrying case. 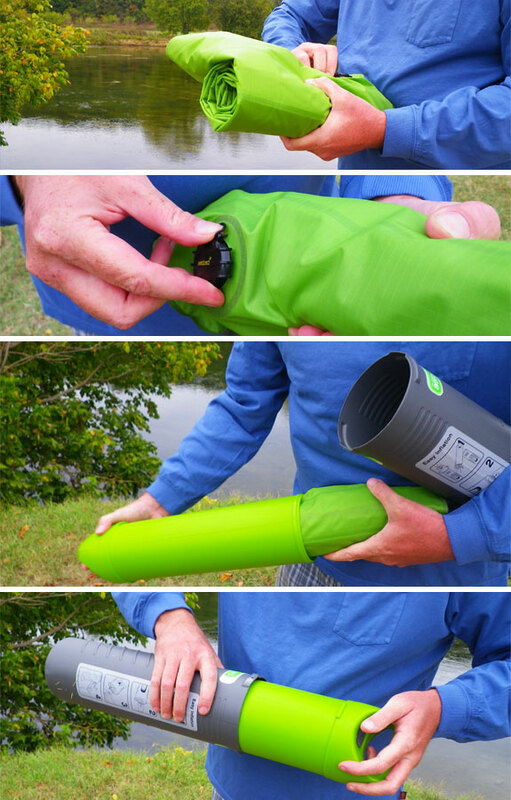 To inflate the Pakmat, screw the exterior case onto the mattress nozzle and use the interior case to pump air into it. The inflation process takes a bit of muscle—and feels a little phallic—but takes only four or five minutes. 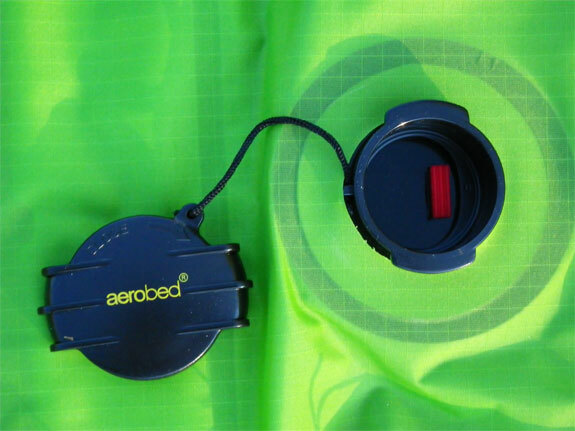 To test the ease of packing up the mattress in real life conditions, Spot Cool Stuff brought the Aerobed Pakmat along on an overnight canoeing trip and asked a particularly hungover friend to properly get the mattress back in its case, sans instructions. After a brief false start he managed it in about two minutes. (Photos below). Restless sleepers, or those not-so-thin, may want to consider buying two Pakmats and sleeping on them side-by-side. Regardless, Pakmat provides a cushy, comfortable respite whether heading to bed or heading on a trip with a bed in tow. Note: The following photos were all taken with a Pentax Optio W90 waterproof ultra-compact camera—see our review for further info.